About 30,000 keys, I think. OK, let’s shoot a starburst. The theme of this operation is a starburst with the field art of a Peace Dove for the day 228. 2016 is the 69th anniversary of the February 28th Incident, a traumatic day for many Taiwanese. For a very long time, it was a taboo in Taiwan. 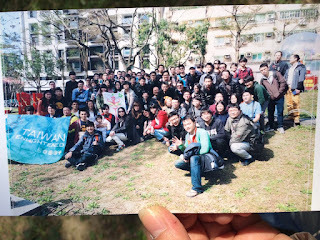 Under the efforts of many forerunners, finally we Taiwanese could face this issue and TW ENL decided to evoke public attention to it with a super-starburst. Since it is a memorial, let us draw a Peace Dove! The mother river of Taipei -- Tamsui River provided the basic profile. The center of this starburst is only 1.5 kilometer from the location -- Tianma Tea House, where the 228 Incident broke out. A coincidence to the history. 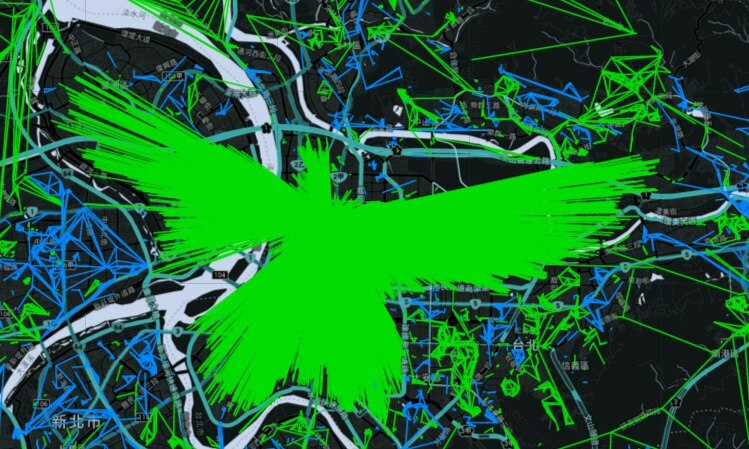 At the end of this operation, TW ENL succeeded in drawing the planned Peace Dove with 5575 links (just over 5566) within 84 mins. Though most people responded with an impression of a Phoenix instead of Dove on first sight, which I think would also work as a symbol of Taiwan rising from the dark shadows of the Incident. PS：5566 is a Taiwan Group , that can’t be vanished.